When asked to look something up online, more often then not, you’ll be told to “Google it,” such is the prowess of the web company in the search department. Although Bing has a stronghold over in China, the Big G’s search engine is the one consulted by most when the power of the internet’s sparse knowledge comes to call. 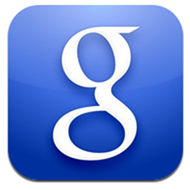 While Google has a pretty chequered relationship with rival Apple, its search app remains a popular free installation on iOS, and said app has just been updated rather significantly to version 2. Aside from a complete visual redesign, there are a bunch of great new features optimizing and enhancing what is already a pretty solid app. As with an update to any web-based app, there are some major speed improvements, so whether you’re stuck in a debate (one of the most frequent times people look things up on the web), or actually trying to get some genuine, productive research done, Google Search will be working double-time. Version 2 also brings auto full-screen, and all you need to do is slide your finger down to hide controls, or scroll back up to reveal them once again. Speaking of full-screen, the same can be said of the image search, meaning more pixels can be spent on the image you’ve sought rather than those oft intrusive controls. There’s a little bit of gesture thrown in as well with the brand-new ability to swipe away webpages you no longer need, allowing you to quickly return to your search results if you so wish, and like most desktop browsers, you can now search for words or parts of words within any webpage by utilizing the in-built text finder. You can now easily access your favorite Google apps right from Search, such as Gmail, Calendar and Docs, and a strangely absent feature previously – the ability to save images straight to the Camera Roll – has now been implemented for both iPhone and iPad users. As you’d expect, it’s absolutely free to download, and you can obtain it right now by clicking the link below.